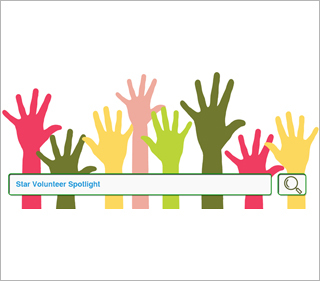 Introducing a new column in which we shine the spotlight on our star volunteers from all eight PMI India chapters who have made immense contributions through their dedication and passion. This is your opportunity to know a little bit about these remarkable men and women from our practitioner community. If I were to start a marketing campaign for PMI, my slogan would be…Together, we can! What attracted me to PMI: Continuous learning and to enhance my career prospects. My key contributions: I volunteered for the 10th Project Management National Conference hosted by North India Chapter as a co-track lead for speaker management. My biggest life lesson: To excel in any profession, it is important to be part of the community of professionals who share the same knowledge. What attracted me to PMI: Besides the PMP certification, a friend from the PMI community, Jaimin Jani, inspired me to volunteer. My proudest volunteer moment: When after the recently concluded Gyan-Lahari in a rural school, the school chairman thanked us for organizing the biggest event that the school has had in 25 years. A life lesson I learned as a volunteer: When passion meets compassion, lives change. A person who inspires me: My mentor Makarand Hardas of the chapter, who is a true leader in all respects. If I were to start a marketing campaign for PMI, my slogan would be…We are all MAD (Making A Difference) here in PMI … come join us! What attracted me to PMI: Plenty of opportunities for continuous learning through knowledge sharing sessions and conferences. My proudest volunteer moment: When I was awarded the Volunteer of the Year 2017–2018 by Chennai Chapter. A life lesson I learned as a volunteer: Volunteering boosted my self-confidence, provided a platform to meet like-minded colleagues for suggestions. A person who inspires me: My parents, who managed to educate themselves as doctors despite their not-so-good family backgrounds. If I were to start a marketing campaign for PMI, my slogan would be…Involve (In sessions/meetings), Explore (Expand your knowledge), Share (Use them when required)! If I were to start a marketing campaign for PMI, my slogan would be…Where professionalism meets perfection. What attracted me to PMI: The pool of talented and experienced professionals, and an excellent place for networking and mentoring. My proudest volunteer moment: Being acknowledged as a volunteer towards the end of the Project Management Practitioners’ Conference hosted by Bangalore India Chapter. If I were to start a marketing campaign for PMI, my slogan would be…A single source solution to every problem.